Save 20% on all Geckota Watches today! 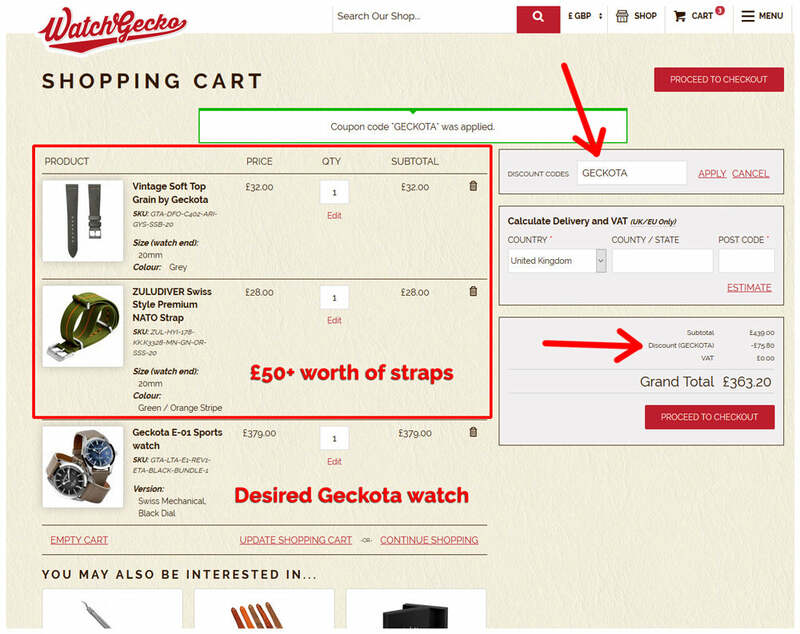 Now live on the WatchGecko site, simply add £50 worth of any watch straps to your basket then you will get 20% off your Geckota watch* purchase. 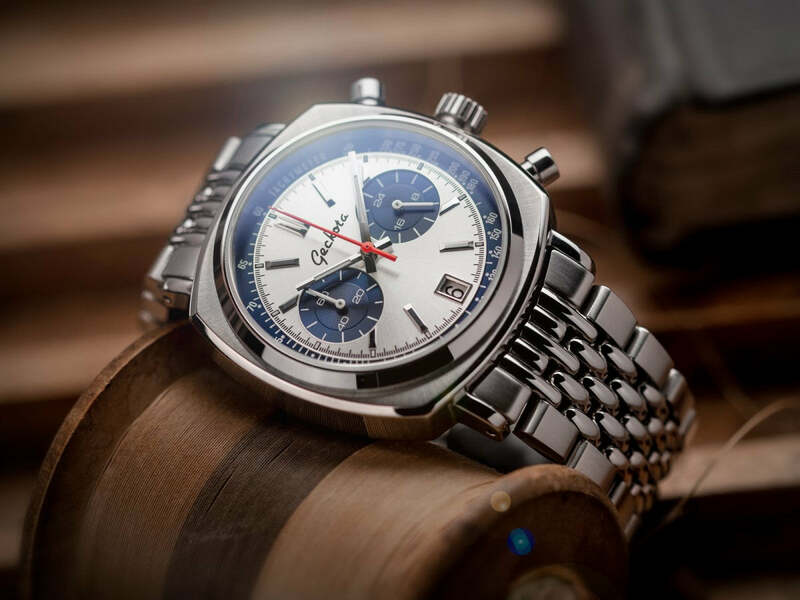 Since we have just launched our exciting new range of watches in time for the Christmas season, this is the perfect time to pick up a new Geckota timepiece. As always, the Geckota watches are made in very small batches of 100s at a time. As they're known for unique designs & high-quality construction we don't expect them to last long! *please note this offer excludes our watch gift sets. The Geckota C-01 Racing Chronograph is now available on the Beads of Rice bracelet with solid curved ends to match. The Geckota P-02 takes inspiration from some of the most prestigious haute horology watch brands. The meca-quartz movement combines the superb accuracy of a quartz movement with the feeling and appeal of a mechanical chronograph. Available now on soft top grain leather watch straps. 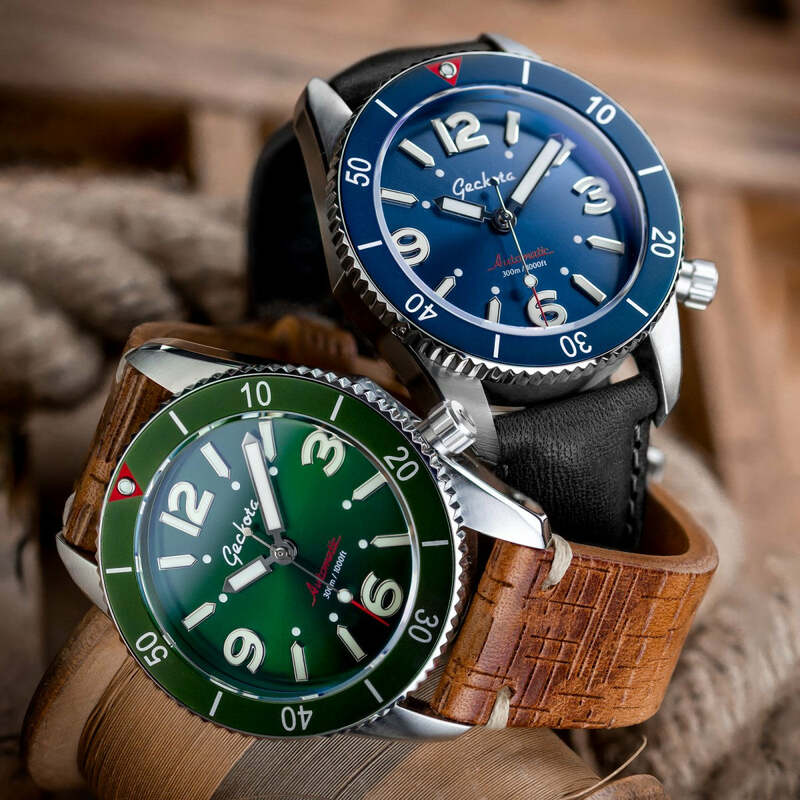 A diving timepiece created with quintessential tool watch DNA and luxury styling at its core. 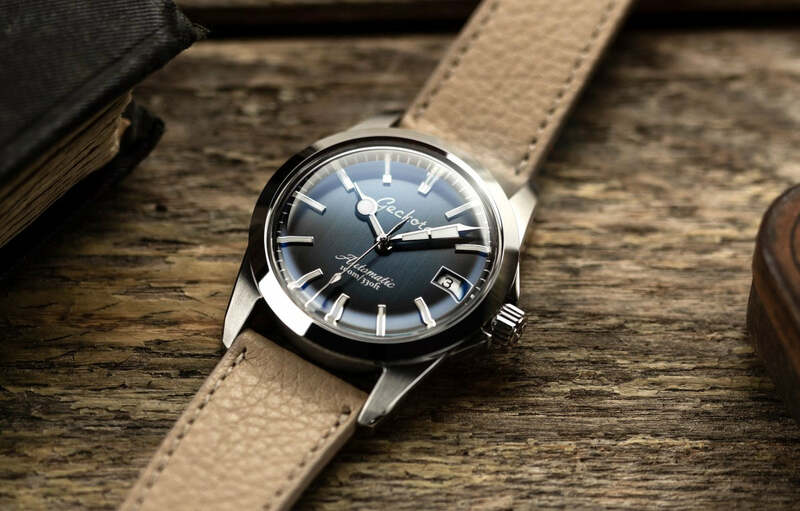 The Geckota S-01 Diver watch is just that, but with touches of understated, vintage design cues throughout. 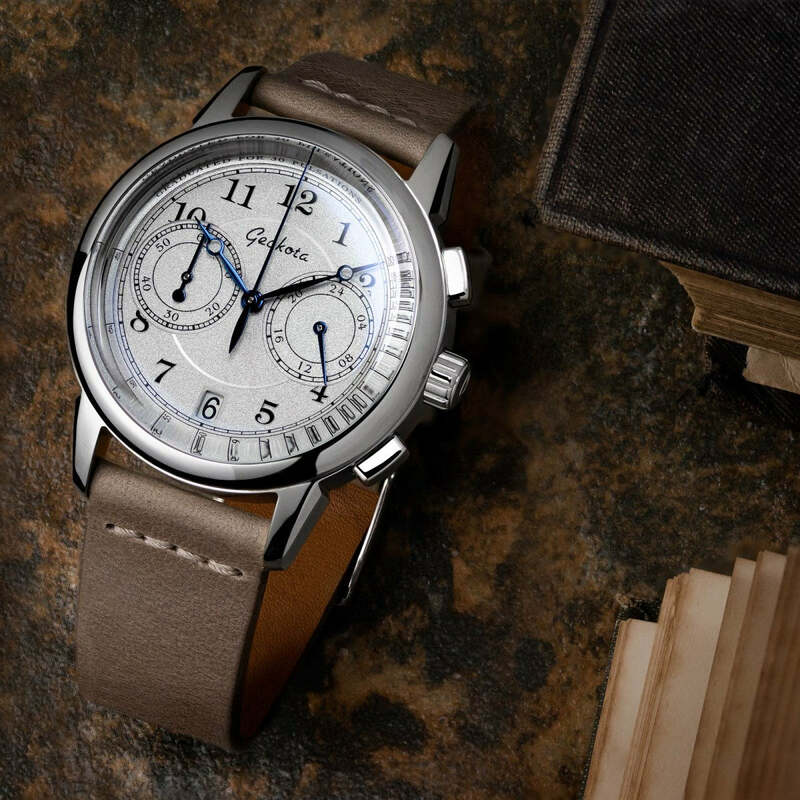 The P-01 is a classically inspired, luxurious time only watch with an emphasis on contemporary design. The piece applies these design cues to create a harmonious connection between quintessential and modern characteristics. Available now! This is a limited time offer. Minimum spend applies. It excludes our watch gift sets. 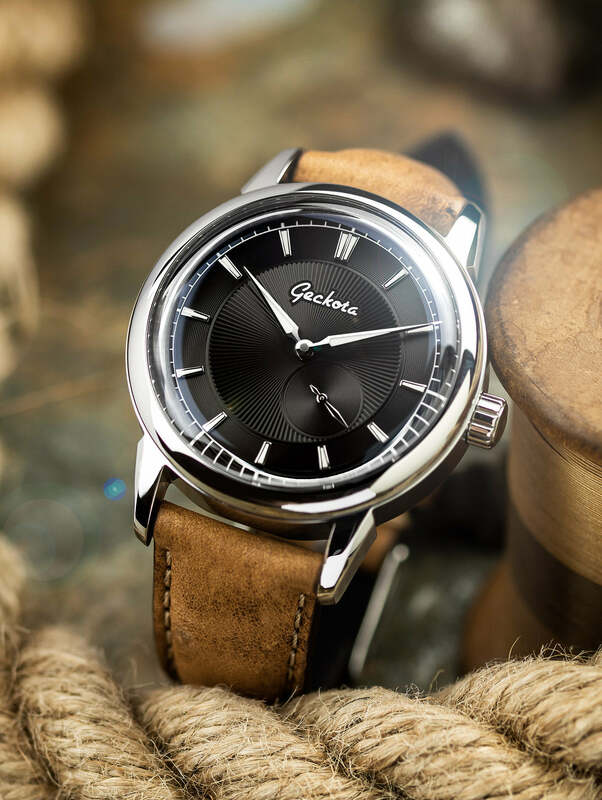 Applying the discount code will reduce the total price of the Geckota watch by 20%. If the promotion has been applied and you wish to return any item from the order then the discounted items must also be returned. This offer cannot be applied in conjunction with any other offer/discount code. Please note this offer is only available on Geckota Watches. Your web site simply does not work! Would you be able to send us an email to support@watchgecko.com and we will look into this for you asap. I’m trying to purchase three Geckota NATO watch straps at a total of £54.00 however when I try to apply the 20% discount code “GECKOTA” it says that the code is invalid..